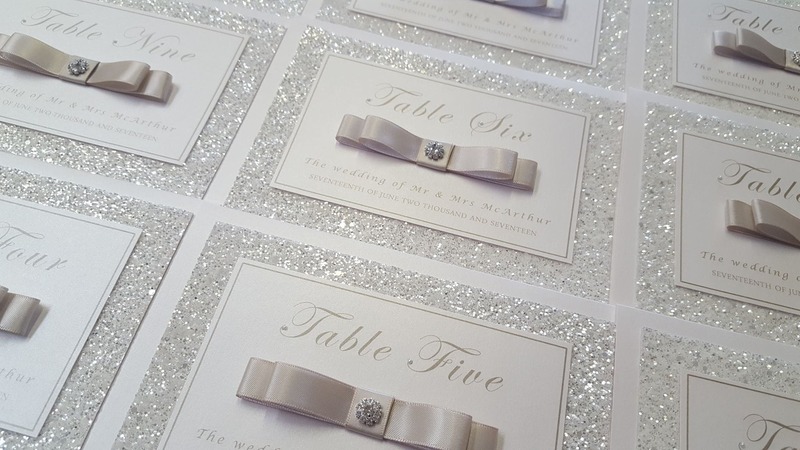 We had a chat with Dawn from Dollybird Stationery about her successful handmade wedding invitation business. Dawn and Elaine’s two-woman business has gone from strength to strength in the past six years – and in 2018 have officially gone worldwide with their first shipment to the US. The creative duo behind Dollybird Stationery tell us about their business philosophy, what they would of done differently and their plans for the future. My name is Dawn Marie Feeney (formerly Gallagher) and I started the business 6 years ago in April this year, with my business partner Elaine Norrie. 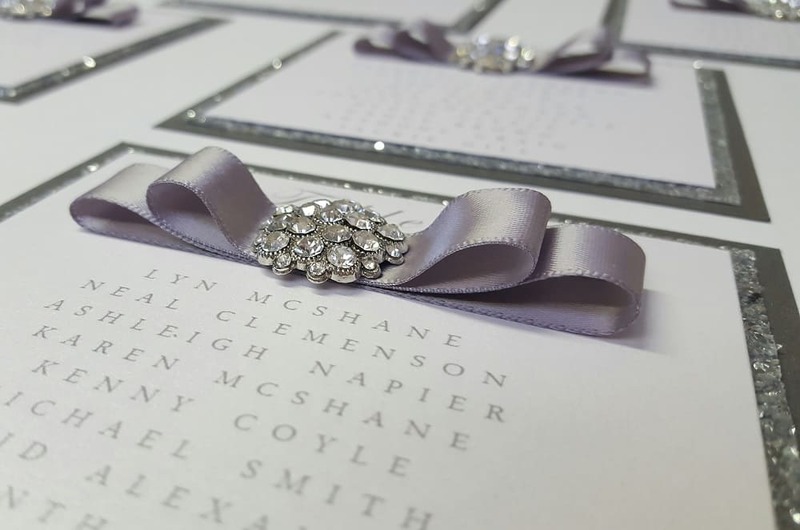 DollyBird Stationery began as a personalised gifts company originally, with one of our first customers asking us to create a wedding invitation based on our personalised heart frame which was very popular at the time. With this invite we experimented with wedding invitations, developing ideas, designing a range and finding our feet within the industry. 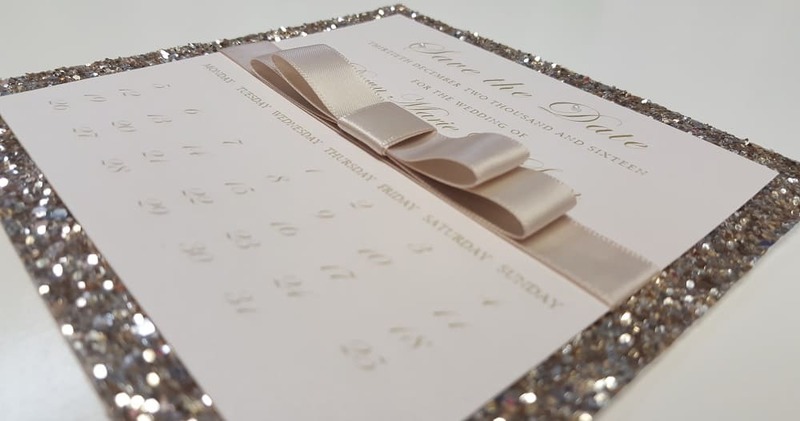 After around a year and half we felt we had found our niche and a gap in the market for a more modern approach to wedding stationery, but with a luxurious and glamorous feel to it. From this we have continued to develop year on year, spreading our brand name further and expanding the company. Can you tell us about your role, your background and how you got to this point? 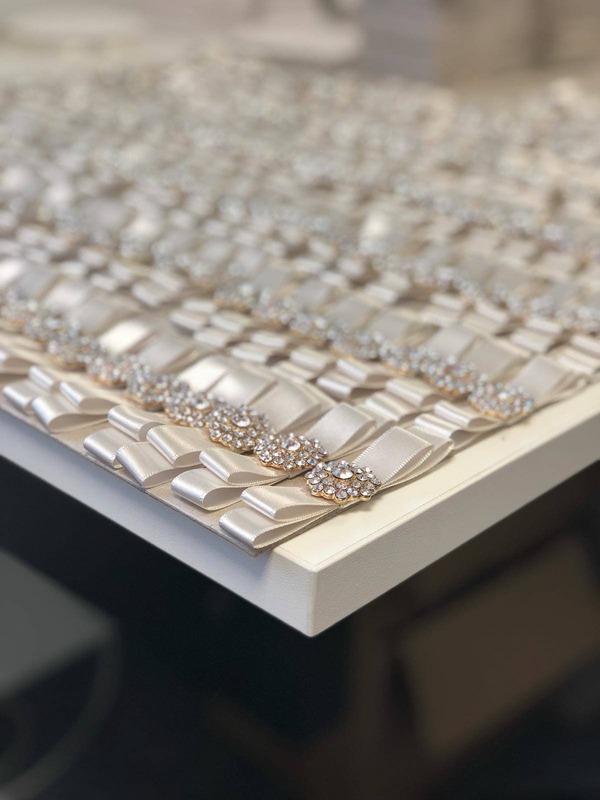 My role within the company is as a working partner – I am involved in all aspects of the company; from admin to accounts, running consultations with customers, designing and making of samples and orders, as well as being a main face for the brand at exhibitions and shows. My original background is marketing – having studied Fashion Marketing at Glasgow Caledonian University. I graduated with a First Class Honours Degree, whilst participating in a work placement throughout my time at Uni. This placement offered me my first job in marketing – as Marketing Assistant for Internacionale, the clothing retailer, who at the time where based in Glasgow. It was here that I met my business partner Elaine, as she was originally my manager. Working closely with Elaine in Glasgow and London (when the company moved part of their headquarters to there), we developed a strong working relationship and friendship. After time and pending redundancies, myself and Elaine decided to dive into waters unknown and try to live our dream of owning our own business. This is where DollyBird was born. Six years later and with a brand new office, we have expanded DollyBird further. 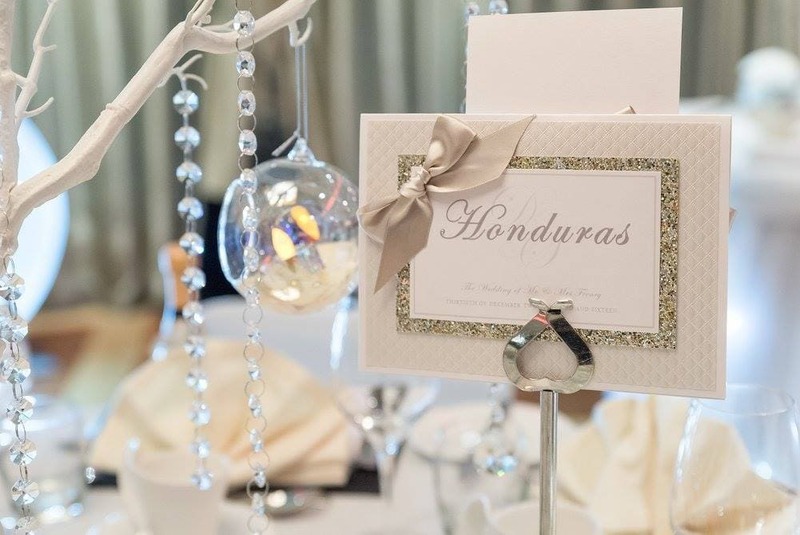 Our name is now known in the Scottish Wedding Industry and we have met some amazing couples along the way. We regularly exhibit at wedding shows and venues across Scotland and continue to promote our brand as much as we possibly can. The business name came from a project at Internacionale and the idea for the business came from our own design backgrounds and our creative personalities. The stationery element originally came from our customer requesting an invite design and grew daily from there. With our background in marketing we were able to research the market quite thoroughly and look for gaps and opportunities. We attended fairs and exhibitions and took note of the ever changing nature of the wedding industry and the needs of a 21st century couple. We wanted to put our own spin on this and felt we were at the right age to work with these couples and help them create bespoke designs to suit their own themes and ideas. At the moment we are working on a mixture of invitations, with the majority relating to weddings in April and May this year. We have also just completed a very large order which is on its way to America and will be our first official set issued there – so we have officially expanded worldwide. This felt like a great achievement for a small company from the east end of Glasgow and is another high point for DollyBird – it is up there with our triple nomination for all 3 Scottish wedding awards last year (The Confetti Awards, The Scottish Wedding awards and The Vows, as not many companies achieve nominations for all 3) and our collaboration with the one and only Gok Wan (a project we aided him with for stationery to be used at his Ladies Lunches across Scotland and Ireland). My favourite thing about my job is working with so many lovey customers and getting to be part of their special day – we work with them for so long that we develop such lovely relationships with them, we are with them for a long period and get to know them, their families and helping even in the smallest way is very rewarding. The feedback we receive from these customers is also amazing, reading an email from a customer about receiving a sample they love or how they have been complimented on their invites really does make you smile and make your day. What are your goals for the future? Where do you want to be in 5 years’ time? In 5 years’ time I would like DollyBird to be shipping worldwide more regularly, however I do believe our face to face business will always be essential. It is such an important day to be part of that it is so much nicer to meet with couples, speak to them and let them see our designs in real life rather than through a screen. We also hope to have finally picked up one of the wedding awards and hopefully continue to go from strength to strength. If you could go back in time, would you do anything differently? The only thing I would say we would do differently would have been to start with stationery but I am a firm believer in all things happen for a reason. What are your daily habits? Daily habits include answering emails, chasing enquiries, working on orders, developing new designs, trend watching and idea building. What are the essentials you need to do your work? The essentials for working are our space, office and showroom, materials, a tidy office (we always work better with a clean office), a to-do list (we like a plan), a little bit of pressure (we work better under pressure and have worked 6 years of being constantly busy so need to be kept busy) and a little bit of music. If someone wanted to start their own small business, what three pieces of advice would you give? Be patient – Rome wasn’t built in a day so don’t expect your business to be. It takes time, effort and hard work. Don’t be afraid of change – sometimes things don’t always work out the way you had hoped but that doesn’t mean giving up. Change and adapt to suit your market and surroundings and to allow you to keep being a competitor in your field. Enjoy what you do – having a business isn’t only about money. To have your own business you must love what you do (or at least enjoy it). If you’re happy your customers will see that and it makes you more attractive in business terms. How do you stay motivated throughout the day? I love what I do so most days motivation comes naturally, but when we are having a tough day I feel stepping away for a little while always helps and having an aim and time-plan for each day motivates me to meet targets. Our inspirations comes from a variety of fields; we look at colour trends, new materials, old designs and eras, movies, music, literature, themes, places and much more. We can create a design based on a name or clothing trend, a hobby or interest, a wedding display or even a band. What are your interests inside and out of work? Interests in work are designing and making – I am a creative person who likes seeing an idea come to life. I like trying new things and so developing new ideas, making new bows, trying new techniques is all interesting to me. Outside of work I like to travel – holidays are good for business owners as they force you to take a break. I am quite family orientated and enjoy spending my spare time with my nearest and dearest. I like exploring new places, eating out, movie nights in and enjoy going to concerts and events. I’m quite a people person so like to be in company. I also love to nap! What do you like to do to unwind and relax? After a stressful or busy week I like nothing better than a night in, a take-away, a nap and a movie. I am also not opposed to a wee spa day/ overnight here and there as they are a great way of relaxing. Holidays I enjoy too, but I am quite active so like somewhere we can explore and go on tours/excursions rather than sitting by the pool. What is your philosophy on business? Your business is yours – yours to enjoy and yours to grow. Business is ever changing and with change you grow. Move with times, stay relevant and always enjoy what you do. Customers can sense this and it will attract them to your business. Also, never forget where you came from and be thankful to those who helped throughout – it took a whole lot of people to get us where we are today and we can’t thank them enough. Team DB is bigger than just 2 partners. 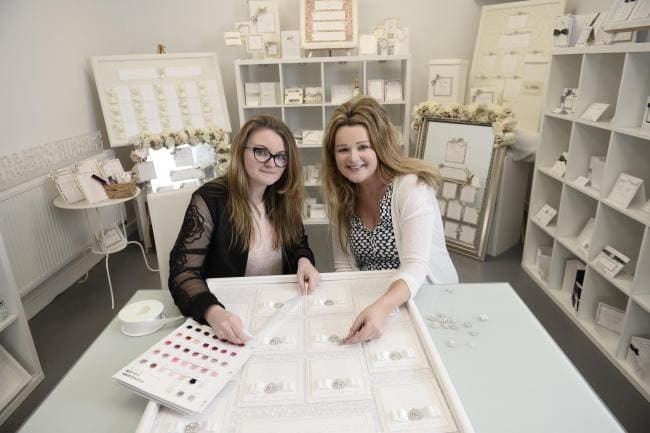 Dollybird operates from a studio at our Cambuslang site. If you have a small business and are interested in our CoVault work spaces, contact us today for a tour.